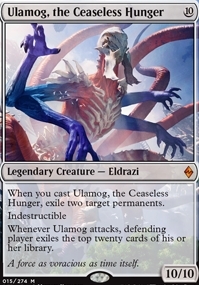 Ulamog, the Ceaseless Hunger ($32.99) Price History from major stores - Battle for Zendikar - MTGPrice.com Values for Ebay, Amazon and hobby stores! 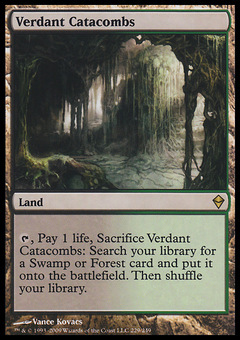 Card Text: When you cast Ulamog, the Ceaseless Hunger, exile two target permanents. 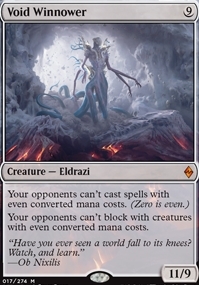 Indestructible Whenever Ulamog attacks, defending player exiles the top twenty cards of his or her library. Flavor Text: A force as voracious as time itself.